Take your space to new heights with these constellation accents. Group together or display separately. 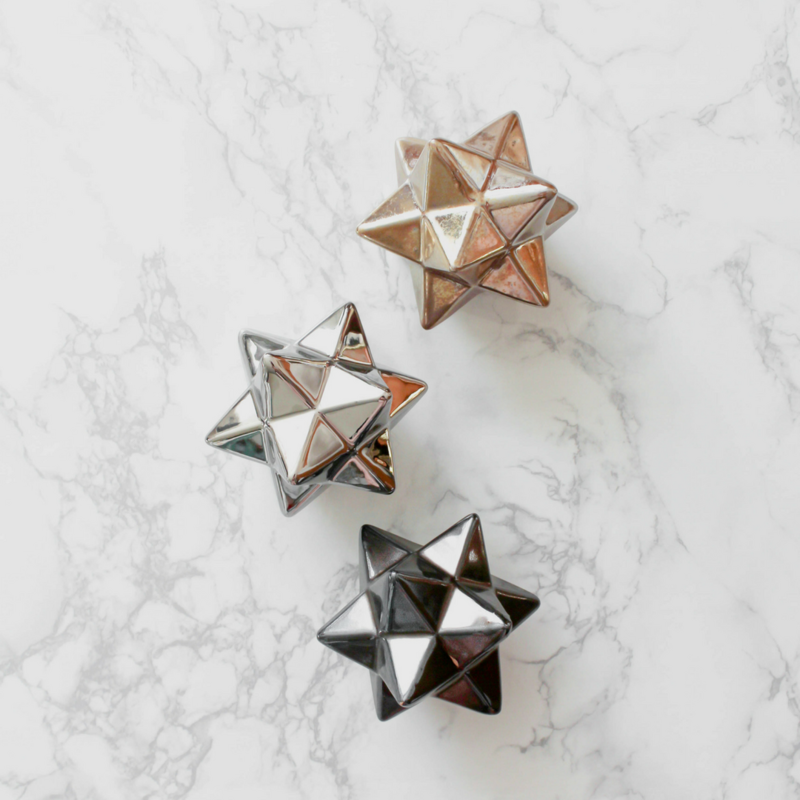 These sizable ceramic stars are finished in a champagne, chrome, and titanium glaze. Each measure 5"H x 4.5"W x 4"D.